-Recap of the first 3 camps of summer with: Travis Avenue Baptist, Fort Worth Texas at Windemere Baptist camp, Lake of the Ozarks, Missouri; Camp Awesome at Camp Copass in Denton, Texas; and All-Star Week with Prestonwood Baptist Church, Plano Texas at Carolina Creek Christian Camp near Huntsville, Texas. -Ridiculous 6 am flights on both ends of my first camp – not good for a night owl like me! -2 weeks in a row with one of my favorite worship bands to work with, Branch. -Talking with and ministering to several hurting students with a stories similar to mine. -CrazyAmerican Idol knock-off late night with the most amazing Thriller dance routine ever! – Travis Idol. -Water skiing for the first time in forever and sorta learning to wake board. -Issuing an tube challenge to a boat driver and losing miserably! -Quick 18 hour turnaround at home – doing laundry & putting it right back in the bag and sleeping a little. -Running into one of my favorite seminary professors, Dr. Roy Fish, at the airport in Dallas. -Camp Awesome absolutely living up to its name! -3 of the CRAZIEST youth ministers I’ve ever met in my life all at Camp Awesome. -Most intense session with a hurting teen I have ever had but it was productive & God was all over it. -A ton of students getting saved the first night of All-Star Week! -The most out of control, fun, and crazy painful game of water polo ever! -Students meditating on specific scriptures during response time = powerful move of God! -Watching 15 students get baptized the last day of All-Star Week! 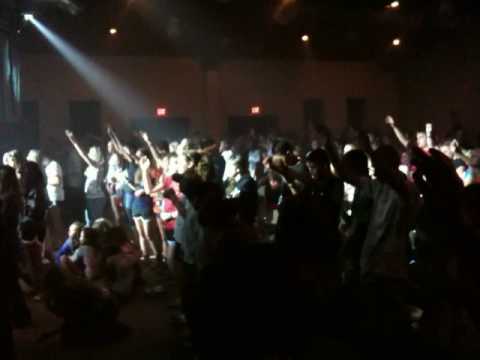 -And last but not least, a video of teenagers worshipping on the last night of All-Star Week. I’ll never get used to this!!! -Working with my old friends Josh & Stacy McClary to help them resurrect the Student Ministry in their new church. 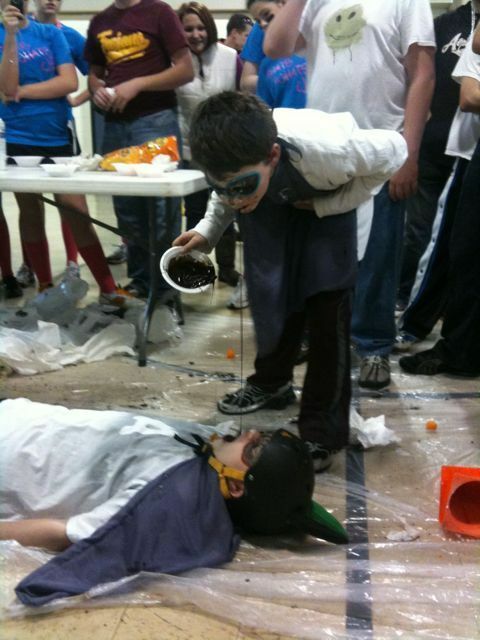 -another smaller event with lots of one on one time with more students. -lots of unchurched teens and 2 of them giving their lives to Christ! -After the worship and before I preached, Josh had the students come up, lay hands on me, pray for me, and for God to speak to them through me. I’ve never experienced that before and it was AWESOME!! -A bonfire that required a bazillion feed sacks, enough diesel to run my truck for a week, a leaf blower, & 2 hours to get started! 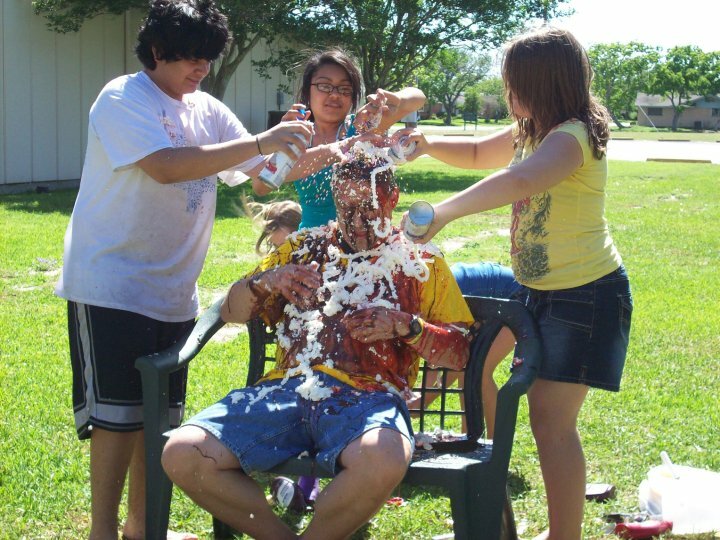 -Josh transformed into an ice cream sundae. They were gonna do this to me but they couldn’t catch me! -And last but not least….. 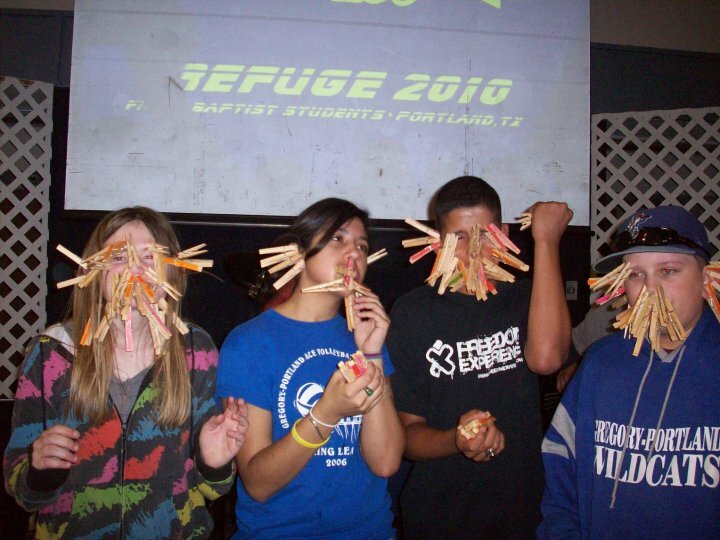 The most painful student ministry game I’ve ever seen! -Smallest event I’ve done in a while, 45 students, it was really nice to get spend more time with more students than usual. -Working with my new friend, Nick Gainey, and the Nick Gainey band. -3 Students giving their lives to Christ and many more coming home to make a fresh start. -Staying in a hotel with a 24 hour starbucks! -3 boxes of fiber bars and high school boys are not a good combination! -I actually sang in a karoke contest. In your worst nightmares you cannot imagine how bad that was! -Hanging out my my college buddy, Billy Baker, and getting to minister to his sons and their group. -Ministering to several students dealing with incredibly difficult issues and plugging them into the help they need. -Two meals at my favorite mexican food restaurant on planet earth within 14 hours, Uncle Julio’s! -An absolutely awesome outpouring of God’s Spirit in the Saturday night service. -Seeing an incredible amount of students come home to Jesus and turn away from tough sins in their lives. -learning an incredibly dangerous game involving a pool table, a cue ball, and lots of running! -Working with one of my favorite Bands: Branch -with the students at The Heights Baptist Church in Richardson, TX on Sunday morning. -9 students trusting Jesus for the first time on Sunday morning!